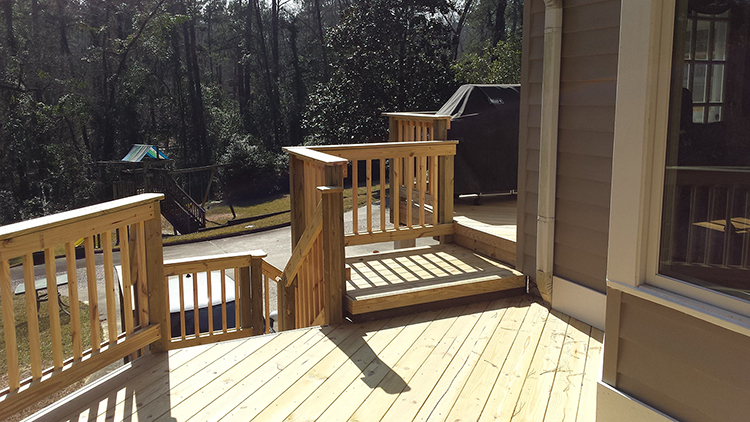 When these Macon GA homeowners bought there new home, they knew they wanted a new deck. The home had an existing deck that had a bit of age on it. They saw from a plaque on the deck that the existing deck was built by Archadeck many years before. They gave us a ring and we went out to take a look at it. We found that they did not need to replace the deck. They simply needed to re-surface the deck. This resurfacing is also called re-facing or re-decking. 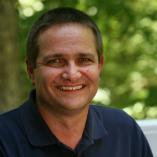 If the deck substructure was built correctly the first time, it should last for many years to come. The decking boards generally have little defense against sun, foot traffic and the other elements so the decking boards wear much more quickly and also show their age more. In order to get these homeowners a new deck, we simply had to replace the decking. The original size was fitting for their needs. Code had changed a little since it was originally built but we only needed to add one post to make the current deck up to current codes. If you have an older deck that you’re thinking of replacing, you may be able to just re-face it or re-deck it. The best way to find out is have us take a look at it. Give us a call to discuss your next decking project. (478) 745 – 2000. We look forward to your call! To see more Central GA deck pictures, browse through our deck gallery. If you know you’re particularly interesting in a low maintenance deck for your Central GA home, click to view our composite and synthetic deck image gallery. Is a wood deck right for you? Wander through out wood deck photo gallery and note some of our deck designs and materials you like. We can take a look at them together during our consultation.